Flexible learning and cultural and career mentoring for better education and jobs were highlighted, along with the importance of culturally comfortable health care services. “If we are to make gains in the health of young Aboriginal people, we must allow their voices to be heard, their ideas listened to and their experiences acknowledged. AHCWA Chairperson Vicki O’Donnell said good health was fundamental for young Aboriginal people to flourish in education, employment and to remain socially connected. 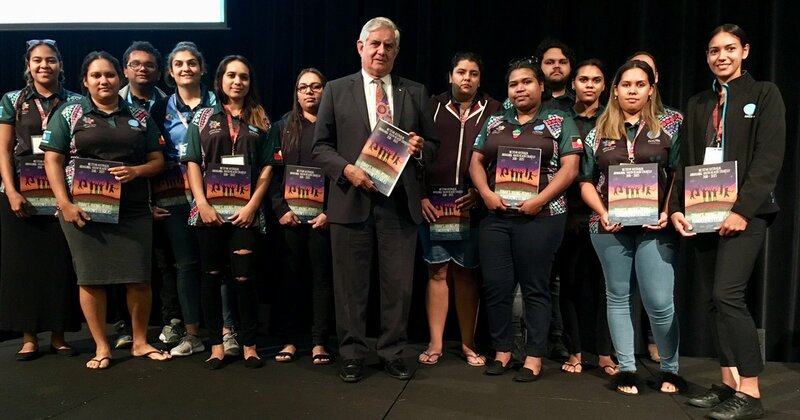 The Aboriginal Health Council of Western Australia (AHCWA) has this launched its new blueprint for addressing the health inequalities of young Aboriginal people. “The Turnbull Government is proud to have supported this ground-breaking work and I congratulate everyone involved,” Minister Wyatt said. 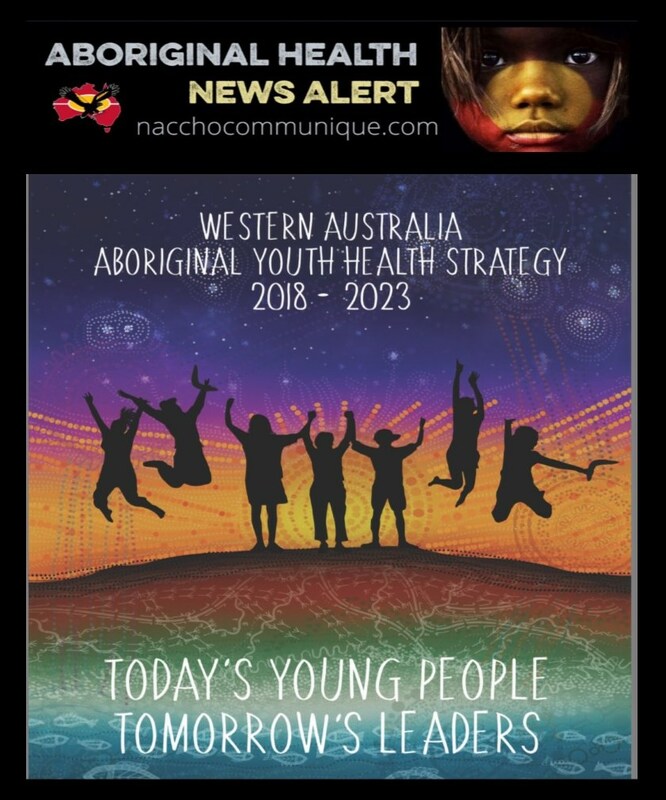 Developed with and on behalf of young Aboriginal people in WA, the strategy is the culmination of almost a decade of AHCWA’s commitment and strategic advocacy in Aboriginal youth health. The strategy considered feedback from young Aboriginal people and health workers during 24 focus groups hosted by AHCWA across the Kimberley, Pilbara, Midwest-Gascoyne, Goldfields, South-West, Great Southern and Perth metropolitan areas last year. In addition, two state-wide surveys were conducted for young people and service providers to garner their views about youth health in WA. During the consultation, participants revealed obstacles to good health including boredom due to a lack of youth appropriate extracurricular activities, sporting programs and other avenues to improve social and emotional wellbeing. Of major concern for some young Aboriginal people were systemic barriers of poverty, homelessness, and the lack of adequate food or water in their communities. Significantly, young Aboriginal people shared experiences of how boredom was a factor contributing to violence, mental health problems, and alcohol and other drug use issues. They also revealed that racism, bullying and discrimination had affected their health, with social media platforms used to mitigate boredom leading to issues of cyberbullying, peer pressure and personal violence and in turn, depression, trauma and social isolation. Ms O’Donnell said the strategy cited a more joined-up service delivery method as a key priority, with the fragmentation and a lack of coordination in some areas making it difficult for young Aboriginal people to find and access services they need. “The strategy provides an opportunity for community led solutions to repair service fragmentation, and open doors to improved navigation pathways for young Aboriginal people,” she said. Ms O’Donnell said the strategy also recognised that culture was intrinsic to the health and wellbeing of young Aboriginal people. “Recognition of and understanding about culture must be at the centre of the planning, development and implementation of health services and programs for young Aboriginal people,” she said. 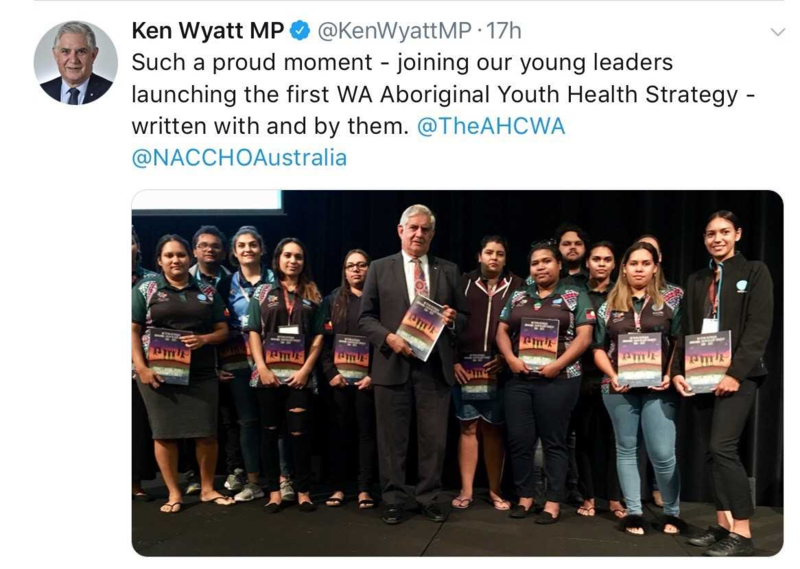 Under the strategy, AHCWA will establish the Aboriginal Youth Health Program Outcomes Council and local community-based Aboriginal Youth Cultural Knowledge and Mentor Groups. The strategy also mandates to work with key partners to help establish pathways and links for young Aboriginal people to transition from education to employment, support young Aboriginal people who have left school early or are at risk of disengaging from education; and work with local schools to implement education-to-employment plans. More than 260 delegates from WA’s 22 Aboriginal Community Controlled Health Services are attending the two-day conference at the Esplanade Hotel Fremantle on April 11 and 12. Over the two days, 15 workshops and keynote speeches will be held. AHCWA will present recommendations from the conference in a report to the state and federal governments to highlight the key issues about Aboriginal health in WA and determine future strategic actions.